Warm and crumbly cornbread falls into the realm of comfort food. While I’m not a Southerner, I’ve always appreciated the quick simplicity of cornbread. Over the years, I’ve come up with my own version, layered with salty and spicy flavors. Those include cooked, diced ham and minced jalapeño peppers. I also prefer an undertone of onion flavor so we cooked onions until most of their liquid was evaporated and their essence became sweetly concentrated. That added just the savory quality I was looking for. There are a million cornbread recipes out there so why bother with this one? Well, it’s a great use for a bit of leftover baked ham (I especially like Boar’s Head Sweet Slice ham). Minced jalapeños add a tiny bit of fire and add some color too. I like to serve this with breakfast or brunch dishes — it’s a great partner for eggs — and it practically serves itself in neat squares. It’s also great toasted! Nothing more than a batter bread, the steps to making cornbread are basics. 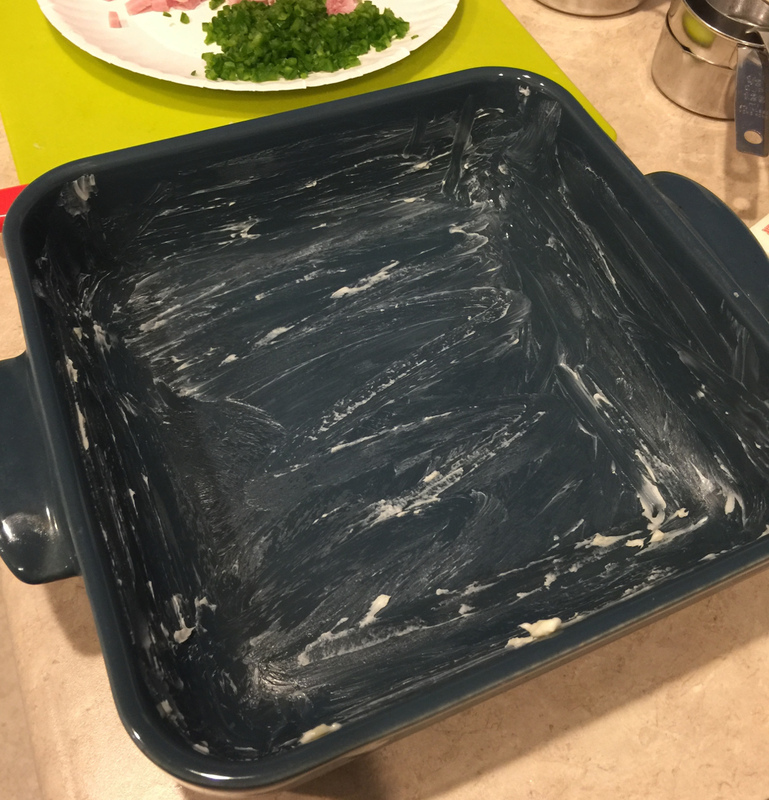 First, coat an 8×8-inch baking dish with some soft butter– it doesn’t need to be heavy — or use nonstick spray. Cook the onions until they are lightly colored and dry, then transfer them to a paper towel to drain and cool (hot onions should not be added to the batter). 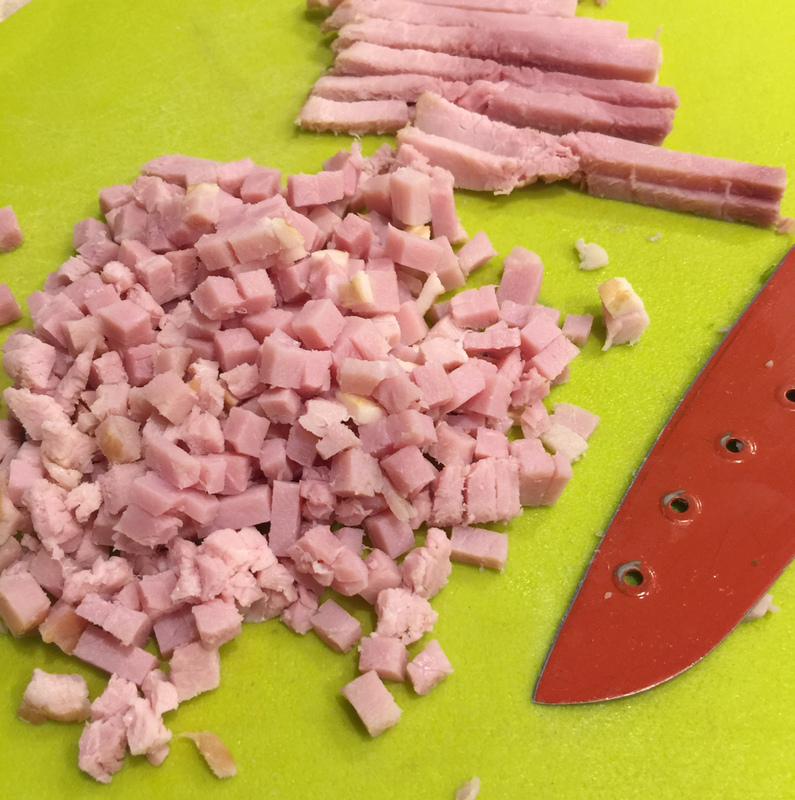 The ham should be cut into 1/4-inch dice to provide little nuggets of flavor. 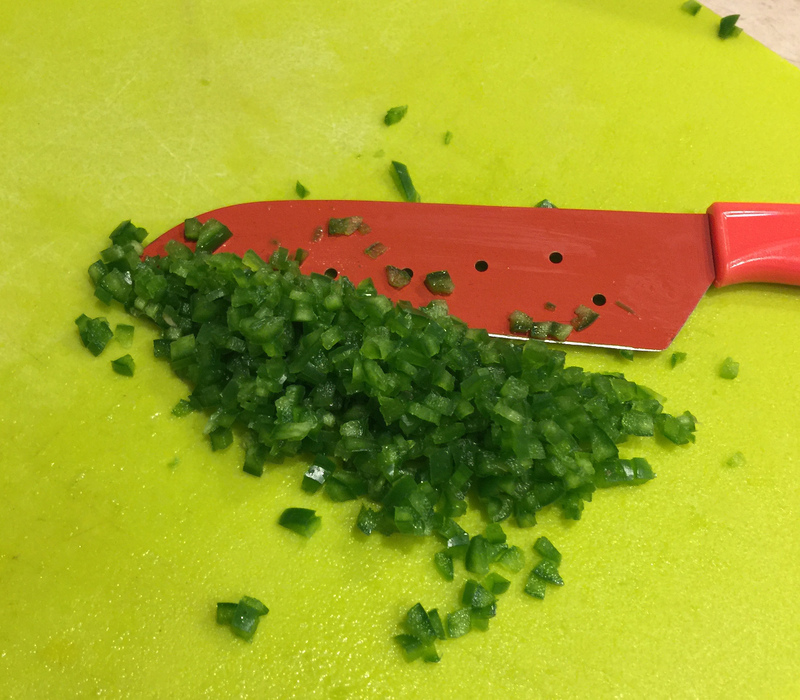 Jalapeños are very finely diced — I recommend doing this with gloves to protect against the burning sensation of capsaicin, which jalapeños have in abundance. 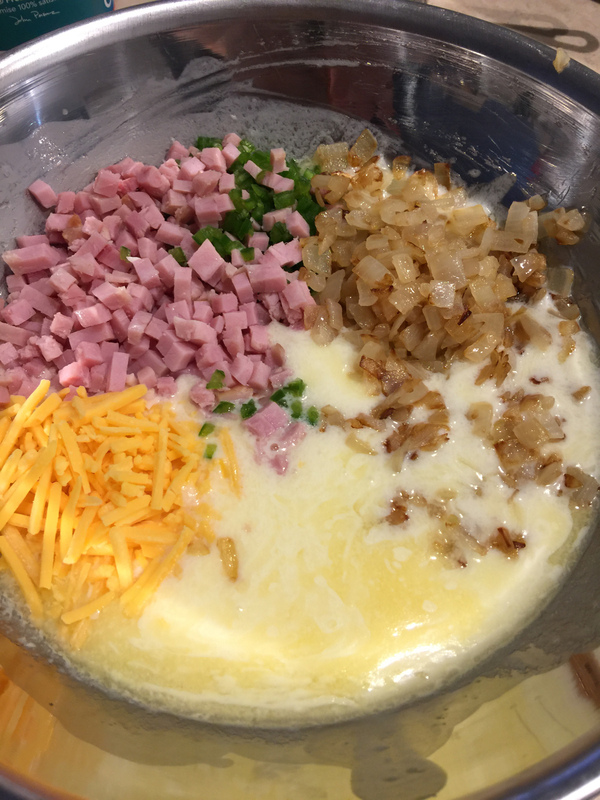 Once the onions are cooled and the eggs whisked with the melted butter, the flavor boosters can be stirred in. And I can’t forget to mention the sharp shredded cheddar cheese! After one third of the dry ingredients are stirred into the egg mixture at a time, here’s how the batter looks before baking. 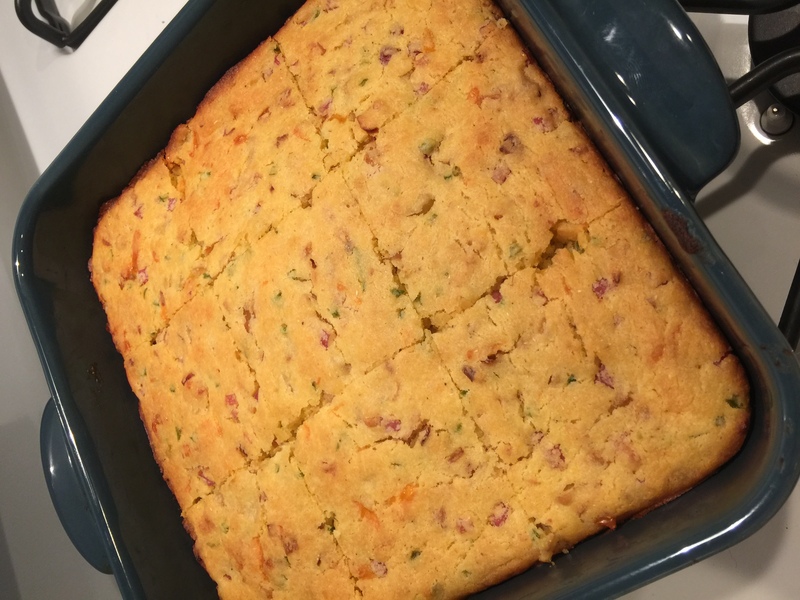 Once baked, the cornbread can be cut in squares and even served in the baking dish — I think it looks that good. 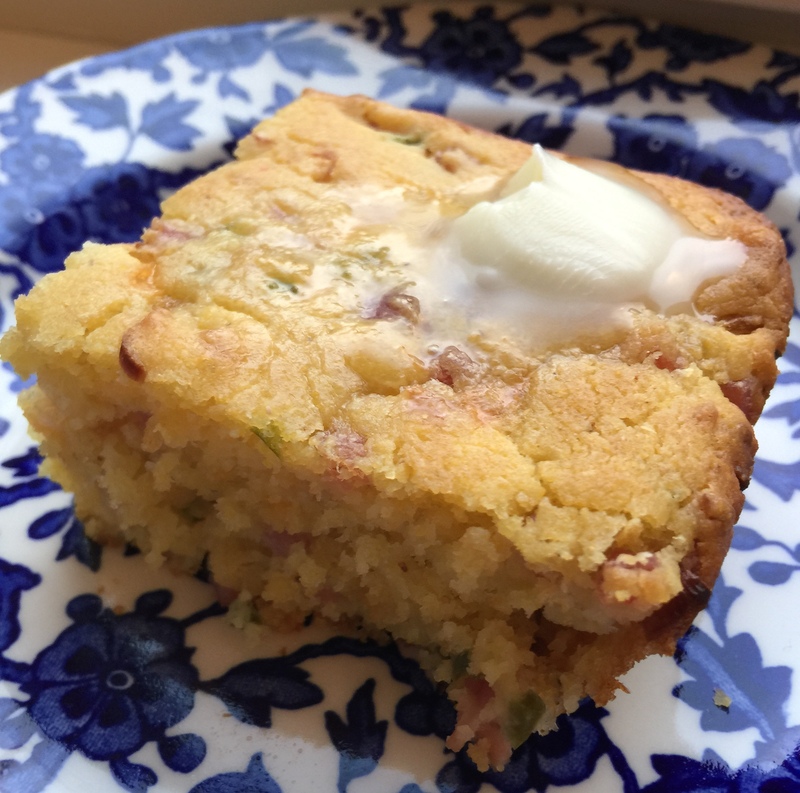 Cornbread layered with additional flavors by adding ham, jalapenos and cheddar cheese. Adjust oven rack to lowest position. Heat oven to 375F. Coat an 8 x 8-inch baking dish with 2 tablespoons butter (or nonstick spray). 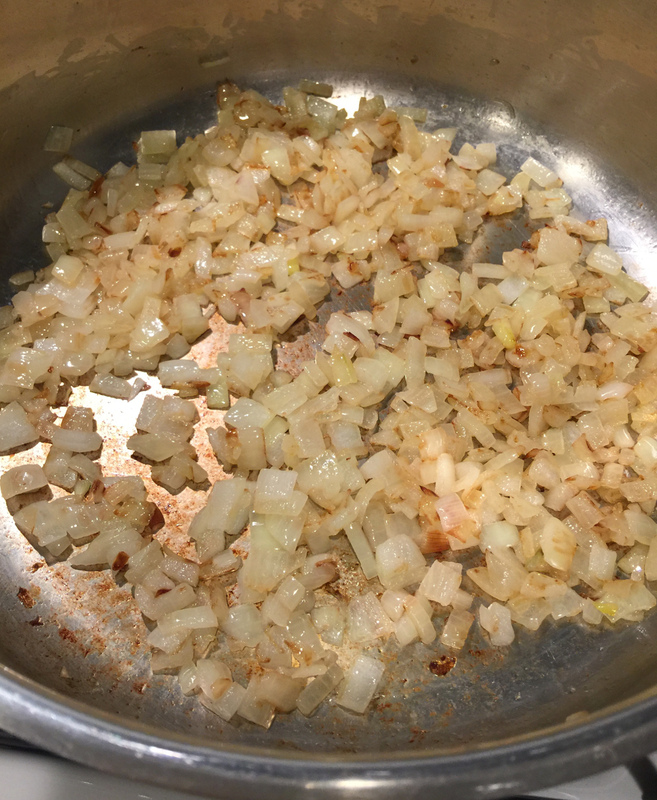 Put 1 tablespoon melted butter in a medium skillet with the onion. Stir over low heat until onion softens and colors lightly, about 10-15 minutes. Remove onion to a paper-towel-lined plate to cool. Sift together cornmeal, flour, baking powder, salt and sugar; set aside. In a large bowl, beat the egg until foamy then whisk in remaining 3 tablespoons melted butter. 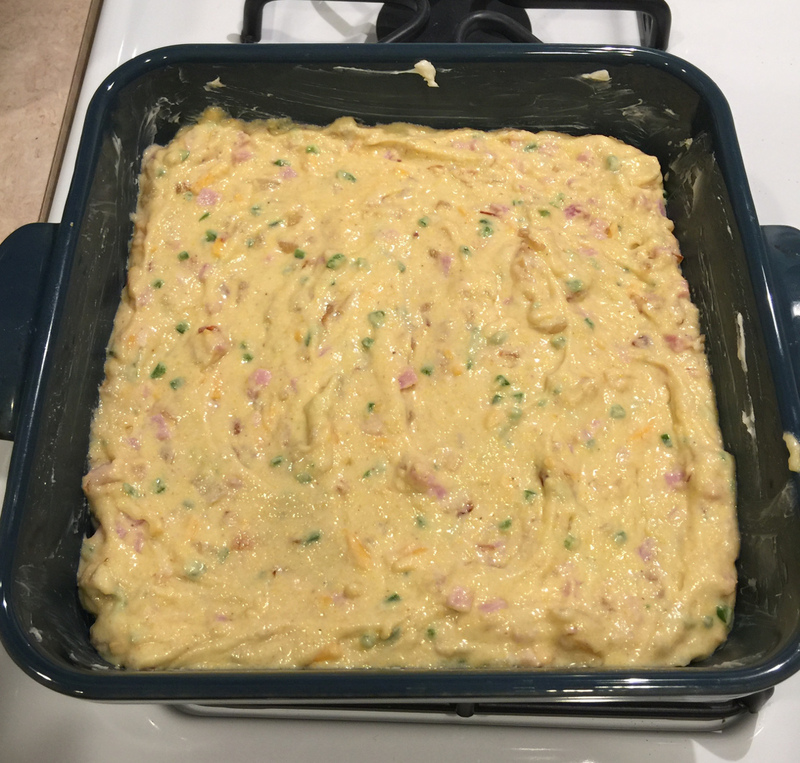 Stir in the ham, jalapenos, onion, vegetable oil, buttermilk and cheese. Add a third of the dry ingredients, whisking until combined. Then whisk in remaining dry ingredients in 2 batches until thoroughly combined. Pour batter into prepared dish. Bake 35 to 40 minutes or until top is lightly colored and a cake tester or toothpick inserted int o the center is withdrawn clean. Cool to warm, cut into 2-inch squares and serve warm or at room temperature. Thanks Jane. I’m going to post as often as I can. Oh, what a nice surprise! Just happened to click on here and see you’re back. Very glad, Jane! And, I love everything about this cornbread. Now that we DO live in the South, I will have to make it. Will print out the recipe and let you know. Libby, thanks for stopping by. Good to hear from you. Hope all is well.